What’s the strongest and clearest business case for developing an internal coaching capability that goes beyond the executive suite? And how do organizations build results-driven coaching cultures primed to speed talent development up and down the ranks? 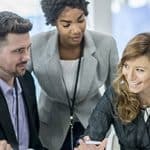 A growing number of organizations are exploring those important questions — especially around the opportunity to extend the benefits of coaching at a reasonable cost. I’m pleased to be joining a panel of experts and seasoned practitioners to focus on this issue at SIOP 2019 in National Harbor, Maryland from April 4-6. SIOP 2019, the annual conference of the Society for Industrial and Organizational Psychology, is expected to draw more than 4,500 attendees. If you attend SIOP, look for the panel on April 6th that’s titled, Developing Internal Coaching Capability as a Strategy Talent Lever. I’ll be joined by other internal coaching practice leaders — including Christina Fleck, PepsiCo; Kira Barden, PepsiCo; Aaron Less, Bank of America; and Josh Rogers of Walmart. Here’s what we know: Executive coaching is widely employed in organizations to accelerate the development of leaders and deepen bench strength. But many organizations are challenged to extend coaching more deeply and broadly, to more directly impact the culture. Whether you attend SIOP or not, you might be looking to learn how best to extend the reach of coaching. When you develop employees as coaches, you’re able to leverage and scale the benefits of one-to-one coaching at the top. 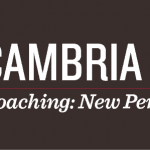 Cambria has seen a dramatic increase in demand for internal coaching capability to develop key talent more quickly and for greater long-term impact. It’s one of the areas we examine with our recent Cambria Lens, a periodic publication that takes a deeper dive into core talent strategy and development challenges. Please say hello if you’re at SIOP 2019. Our panel is on Saturday, April 6 at 12:30PM. I hope to see you there!